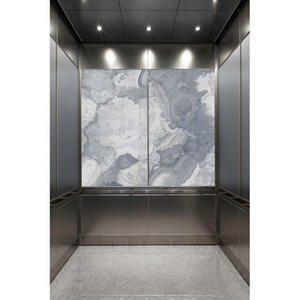 Forms+Surfaces is pleased to introduce the latest addition to our Virtual Quarry – Pearl Onyx. 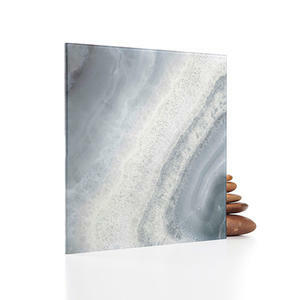 Pearl Onyx is the newest product in our ViviStone line of architectural glass, a group that pairs the beauty of stone with the convenience of glass. It joins our other unique ViviStone families including Honey Onyx, Cream Onyx and Abalone Onyx. 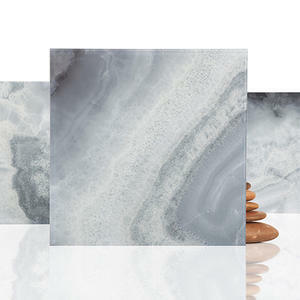 Pearl Onyx is an elegant stone pattern comprised of a cool palette of white, blue-greys and taupe, drawing its inspiration from the sea. This new ViviStone family has been added to our website’s Virtual Quarry, an online design tool that allows you to virtually select a stone, choose individual slabs, and configure them to fit your specific layout. 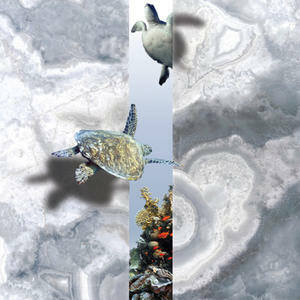 Pearl Onyx is comprised of two different stones, four slabs each, for a total of eight design options. At 65” x 117”, the slabs are the largest we’ve offered to date. They can be used in their entirety or in sections of smaller sizes to meet your project’s needs. As with our other ViviStone products, Pearl Onyx can be used in many applications including our Elevator Interiors, LEVELe Wall Systems, LightPlane Panels, as well as in room dividers, railing infill, partitions, backlit configurations and custom projects. ViviStone is suitable for interior and exterior settings. Visit the Pearl Onyx page on our website to learn more about this beautiful and versatile product, or contact us.